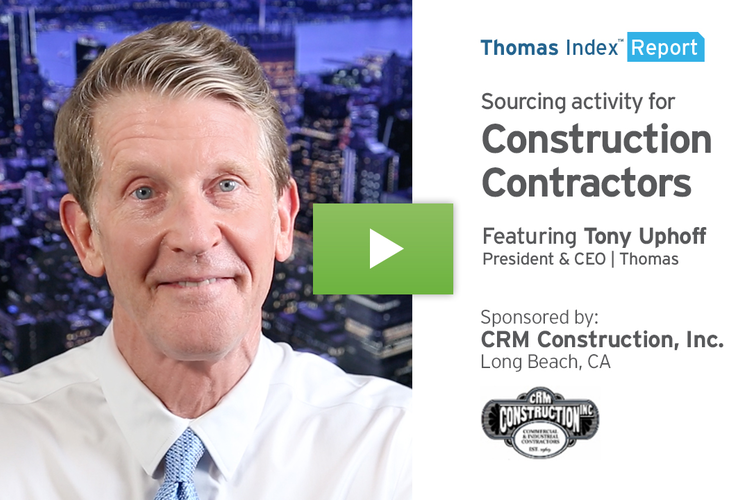 Hi, I’m Tony Uphoff, with a special “insider” edition of the Thomas Index. 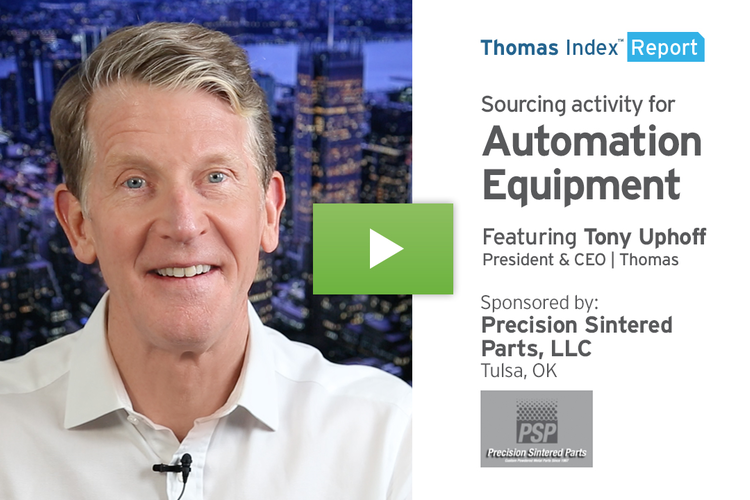 In the twelve weeks since we launched the Index, we’ve covered sourcing trends in areas as diverse as steel, printed circuit boards, private labeling, industrial automation, and injection molding. We’ve also taken a look at how industrial sourcing was impacted in areas affected by hurricanes Harvey and Irma. 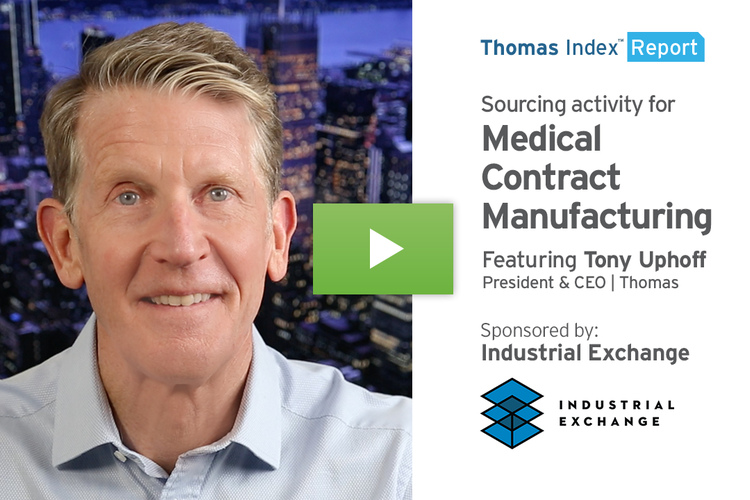 The response to the Thomas Index has been phenomenal – we’ve responded to requests for additional insights from media including The Washington Post, The Atlanta Journal-Constitution, Financial Market Research, Investors Business Daily, The Standard Examiner, and many others. We’ve also received great feedback from industry folks like you – and you’ve asked some great questions about the Index. I’ll answer some of those here today. The Thomas Index reflects sourcing activity we’re seeing by users within the Thomas Network at Thomasnet.com. This is North America’s largest and most active industrial buying network, with over 500,000 registered users – and growing. The fact that our activity comes from registered users drives the cleanliness of our data; this is the sourcing activity of human beings – NOT the automated BOTS that can skew so much online user data. Our users are procurement professionals, engineers, MRO buyers, and other purchase decision makers. 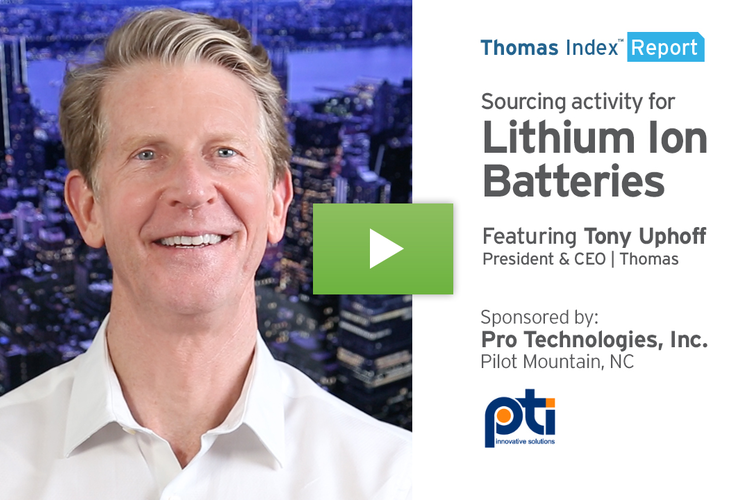 They come to us to find and evaluate suppliers from the over 500,000 North American industrial businesses that promote their products and capabilities on the Thomas Network. Every two seconds, a user evaluates a supplier on our Network. As they’re looking at supplier content within the more than 67,000 product and service categories at Thomasnet.com, we’re able to track what they’re looking for and where they’re looking for it, among other things. In the aggregate, and over time, this gives us a TREMENDOUS amount of proprietary, intention-based, buyer behavior data -- and lets us spot sourcing trends from a unique vantage point. 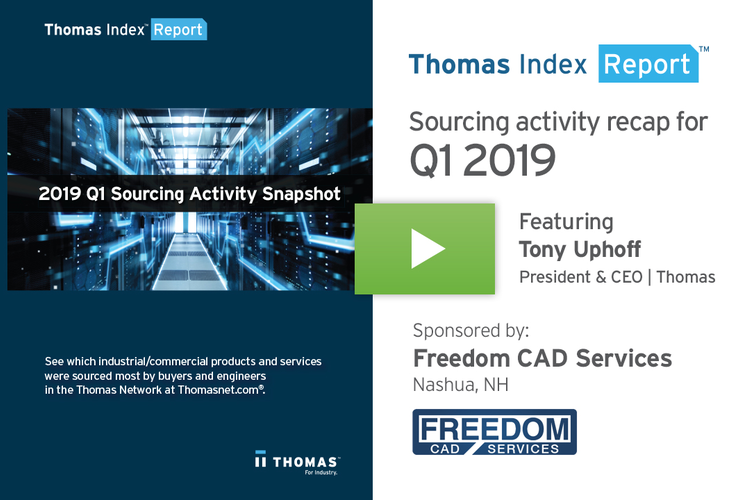 It’s important to note that we respect and protect the privacy of our users – in the Thomas Index we never divulge the specific sourcing activity of individual buyers or the organizations they represent. 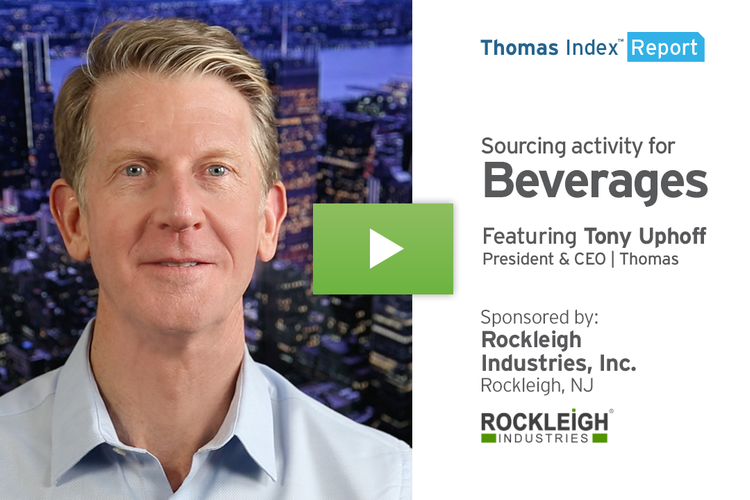 While the focus of the Thomas Index up to now has been primarily on specific product or service categories, in the near future we’ll be sharing insights in which our data shows sourcing trends happening within specific industries, among the collective market leaders within those industries, and in specific regions, among other things. Hey, we are really excited about bringing you the actionable information generated by the user data within our extended Thomas Network – information designed to help you spot opportunities, inform your decision-making, and grow your business. I hope you’re looking forward to it as well. To receive the Thomas Index, as well as other useful industry news and information, subscribe to our e-newsletter: Your Industrial Daily. Thanks for watching, and I’ll see you with next week’s Thomas Index.